Saute the onion in the butter, add the tomato sauce, spices and tomatoes. 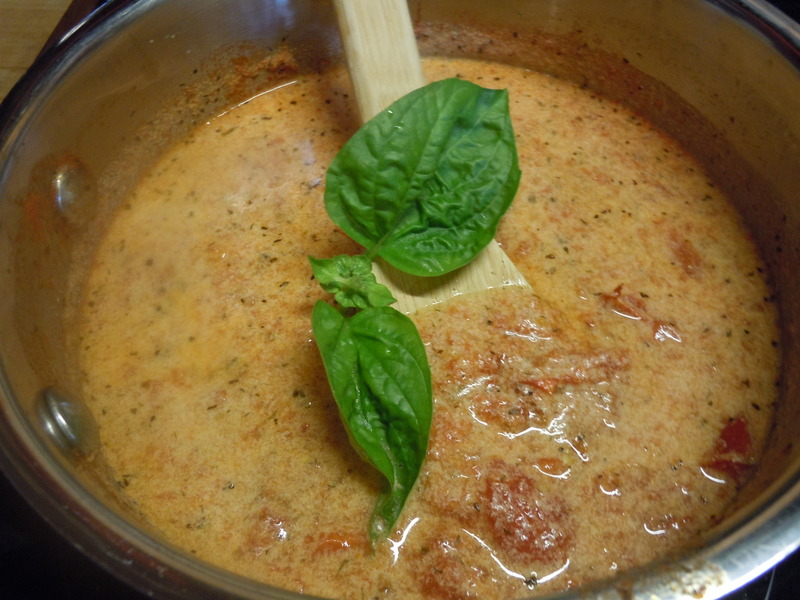 Bring to a simmer and cook 15 minutes or until the fresh tomatoes are cooked through but still in small pieces. (If it seems too thin, stir in a half a can of tomato paste). Add the cream and adjust the seasoning. Reserve 2 c of the soup and refrigerate the remainder. It will keep for a couple of days and is terrific with a grilled cheese sandwich. When you do serve it, reheat gently, sprinkle a bit of grated romano cheese on top and add a basil leaf for garnish.